In May of 1813, Napoleon began the campaign for Germany with a bang - as was his custom. The Prussian and Russian armies attempt to ambush the French main army strung out in road march. Their approach goes undetected and they are able to close within two miles. In fact, not until the moment of their assault do the French become aware of them. But, instead of the expected weak flank guard, they are met by the strong divisions of Souham and Girard and by midafternoon, Napoleon and 100,000 French and their allies have swarmed to their suppost. The battle raged in ever-mounting fury until night finally brought an end to the slaughter. The first major battle of the 1813 campaign ends with thousands of dead and wounded and with the Russian and Prussian armies in full retreat. 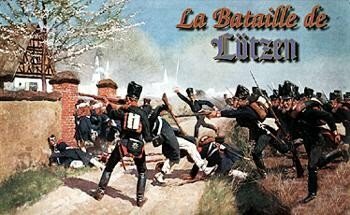 La Bataille de Lutzen simulates the first major clash of Napoleaons 1813 campaign. Lacking adequate cavalry and handicapped by a large number of raw recruits, the French player must rapidly consolidate his scattered forces to counter the sudden Allied attack. 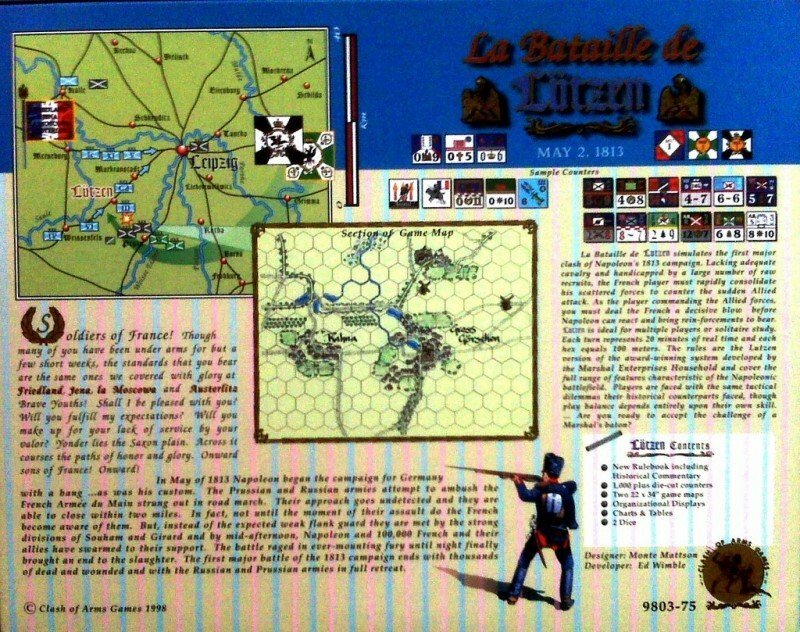 As the player commanding the Allied forces, you must deal the French a decisive blow before Napoleon can react and bring reinforcements to bear. 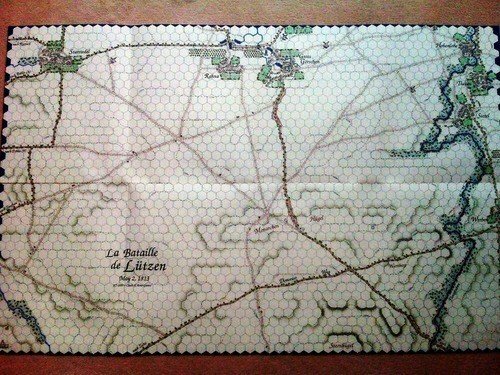 Lutzen is ideal for multiple players or solitaire study. Each turn represents 20 minutes of real time, and each hex equals 100 meters. 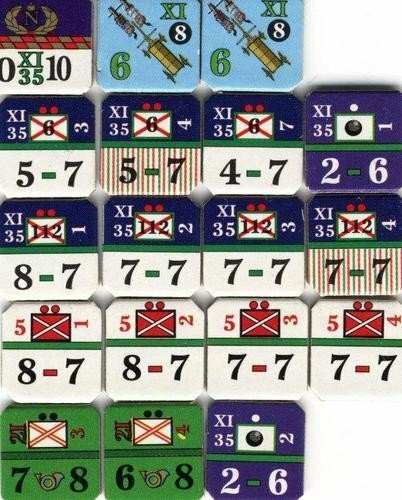 The rules are the Lutzen version of the award winning system developed by the Marshall Enterprises Household and cover the full range of features characteristic of the Napoleonic battlefield. Players are faced with the same tactical dilemmas their historical counterparts faced, though play balance depends upon their own skill.